A 2nd century stone relief in the Himalayan mountains shows us that Buddha and his entourage knew this before Christ walked the earth. The stone relief depicts the Buddha and his buddies playing ancient Tibetan singing bowls. 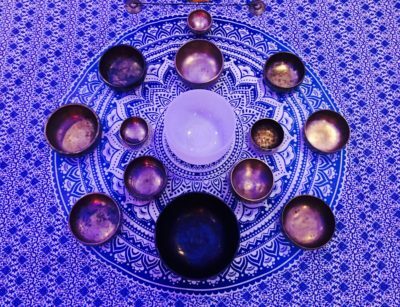 Human Activation sound frequency specialist, Patrick Dimond & Robert Lee, will be playing several of these rare Singing Bowls, some of which are over 200 years old.